Escape to Sri Lanka Travel Guide: Enjoy breathtaking beaches, wildlife and nature, and ancient cultural treasures with Uga Escapes. The setting of the jewel in the Indian Ocean that is Sri Lanka is our miles of sparkling sand and sea. Upon sighting the topaz or sapphire blues of Sri Lanka’s coast, you will know you’ve found the paradise described by travellers throughout history. Dive into adventure with a variety of water sports and activities, or let the ocean have a chance to give you a ride on its warm currents to explore the coral reefs and shipwrecks that awaits you, these are among the many things to do and places to see in Sri Lanka. Venture inland and you can experience wildlife like nowhere else. The world’s largest Gathering of elephants occurs annually and was listed by Lonely Planet among the top 10 most spectacular animal events in the world. Sri Lanka has the largest concentration of leopards in the world, over 400 species of birds, hundreds of butterfly species, and dragonflies that exist nowhere else on the planet, as well as over 90 species of mammals on the island. And just a short jaunt from any of our properties will take you into one of Sri Lanka’s many wildlife reserves, where you can observe animals in their exotic habitats. 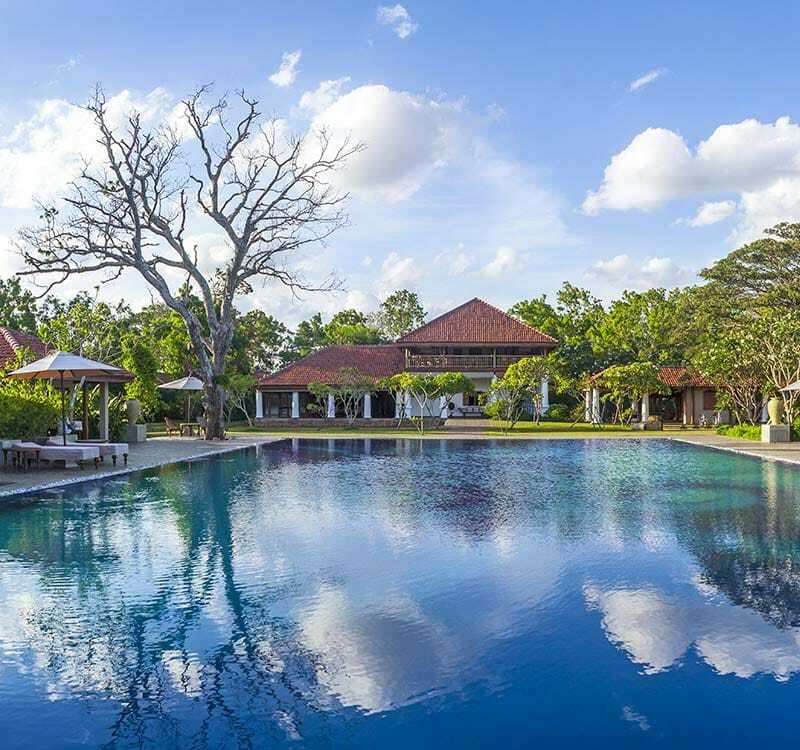 And though Sri Lanka has a wealth of ancient wonders, you’ll find some of the most spectacular within the region known as the Cultural Triangle, of which the former Kingdom of Anuradhapura is part. You can stay where local nobility lived, or travel in the footsteps of royalty and divinity, with Uga Escapes.